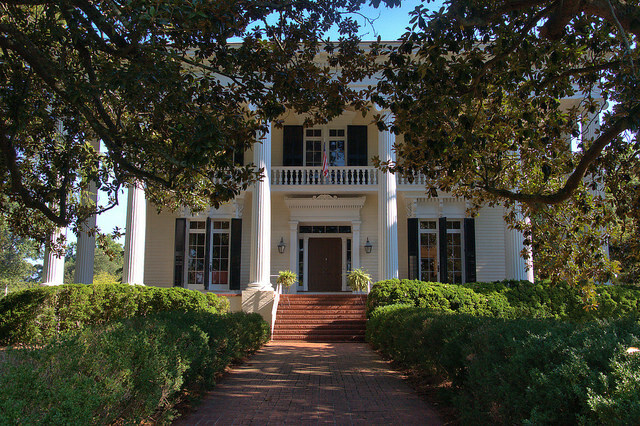 Representative of the transformation from Federal and Plantation Plain styles to the more formal Greek Revival, Nutwood is one of six extant homes designed and built by Collin (sometimes spelled Cullin or Cullen) Rogers (1791-1845) and his brother Henry. 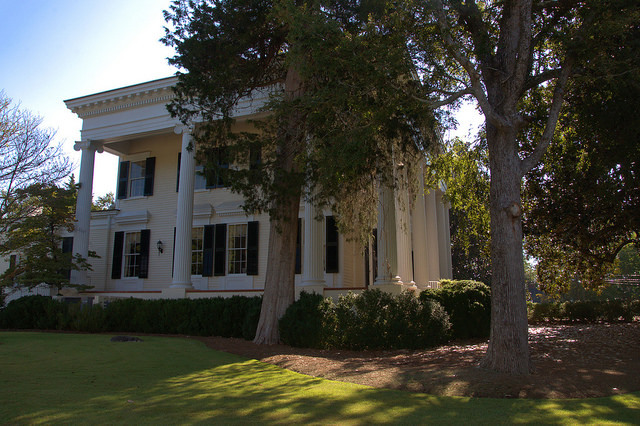 Just as Daniel Pratt’s houses are emblematic of Milledgeville, Rogers’s designs are icons of LaGrange. Nutwood is considered the most accomplished of his works. It should be noted that Rogers and his brother utilized a large number of enslaved people with great skills in carpentry to build their commissions. 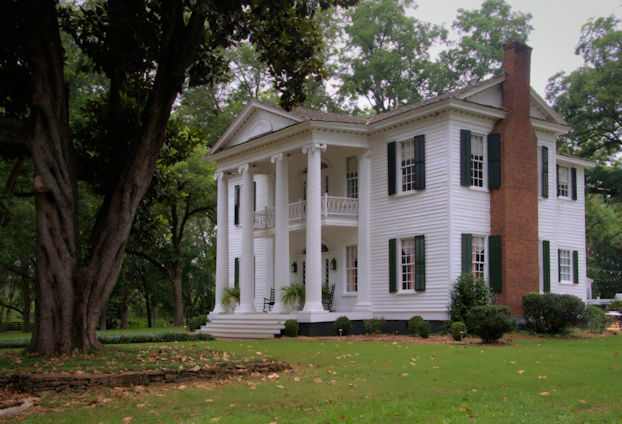 Joel D. Newsom (1789-1864) was the first owner of the property and legend states that the plantation house derived its name from the fact that the first pecan tree grown in Troup County was planted here. Newsom served as judge of the Troup County Inferior Court from 1831-36. 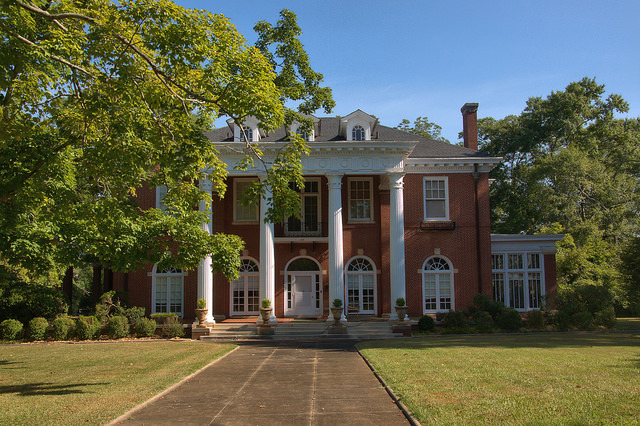 In 1937, it was purchased by Mr. & Mrs. Arthur E. Mallory who owned it until the 1970s. 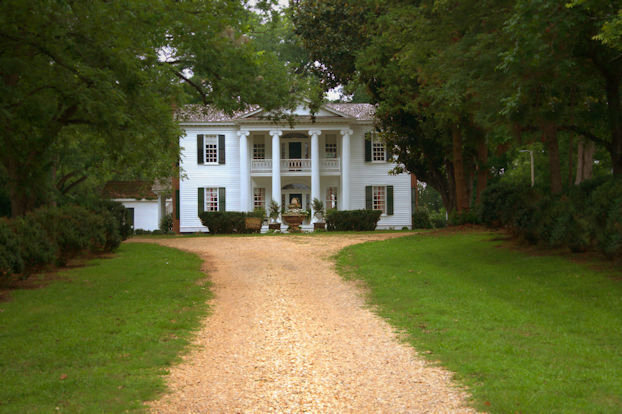 Begun in 1853 and completed in 1855, Bellevue was the home of Senator Benjamin Harvey Hill. A National Historic Landmark, it’s the only such structure in Troup County to have that designation. The historic marker at the home notes: Benjamin Harvey Hill, one of the first to proclaim the New South industrial rather than agricultural, was born at Hillsborough, Jasper County, Sept. 14, 1823. 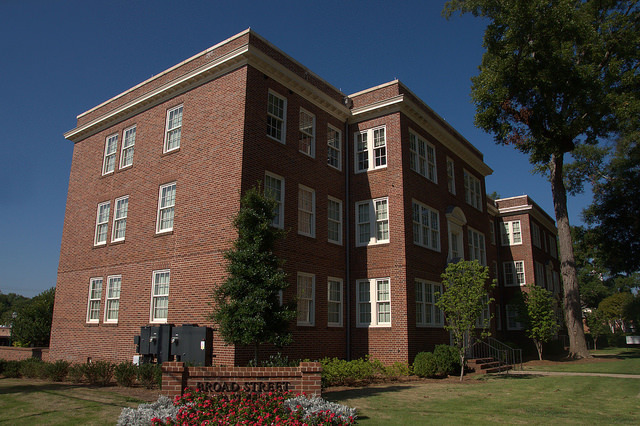 Reared on a farm at Long Lane, Troup County, graduated with first honors at the University of Georgia and married to Miss Catherine Holt of Athens, he came to LaGrange to practice law. He was elected to the legislature on the Whig ticket in 1851. With Alex. H. Stephens, Herschel V. Johnson and others, Senator Hill opposed secession but became one of the foremost champions of the cause of the Confederacy. A member of the Confederate provisional congress and the Confederate Senate, he was regarded as the ablest supporter of the policies of Jefferson Davis. Arrested but soon paroled after the surrender, Senator Hill, “foremost orator of the state,” resumed his activities in politics and vigorously opposed the Reconstruction Acts of Congress. With Senator John B. Gordon he prevailed on President Hayes to remove Federal troops from the South. After serving in Congress he was elected to the U.S. Senate in 1877 and served until his death, August 16, 1882. 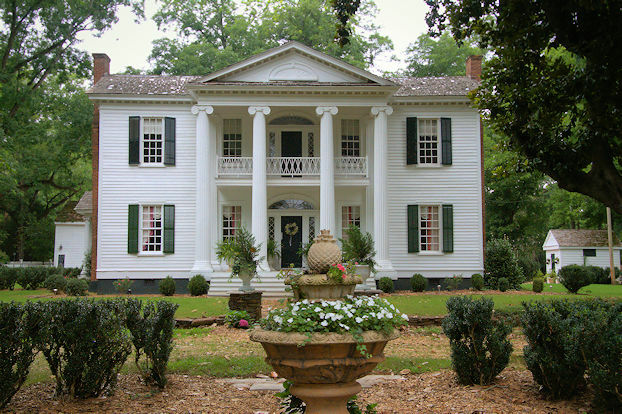 Senator Hill’s home, Bellevue, built in 1854-1855, was acquired by the Fuller E. Callaway Foundation and presented to the LaGrange Woman’s Club. 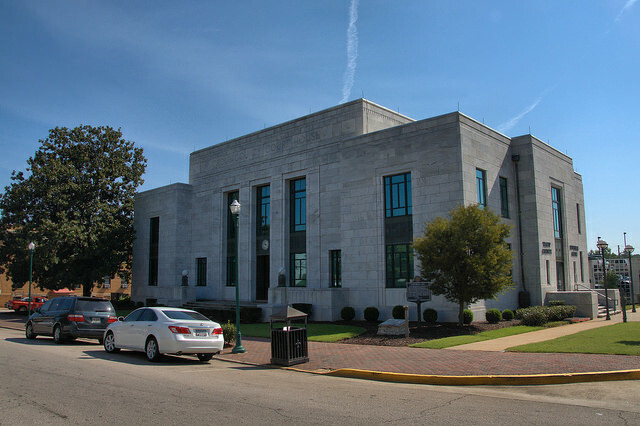 Now replaced by a newer facility, William J. J. Chase’s Stripped Classical New Deal courthouse is still used for county business and is adjacent to the new courthouse. Chase also designed the Seminole, Mitchell, and Cook County courthouses. 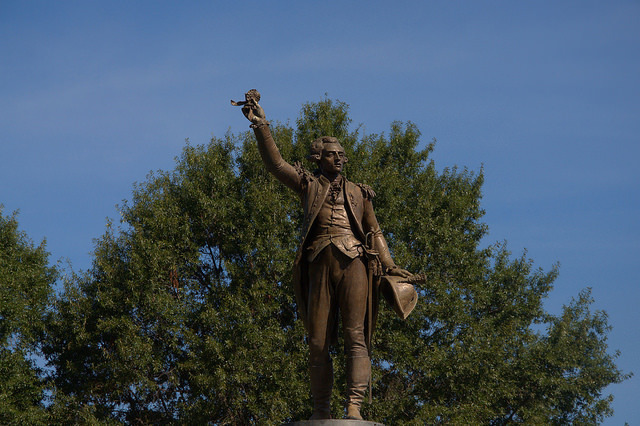 The focal point of downtown LaGrange is LaFayette Square, which is anchored by a bronze copy of Ernest Eugene Hiolle’s famous statue of the Marquis de LaFayette. LaGrange is named for the Marquis’s French country estate. 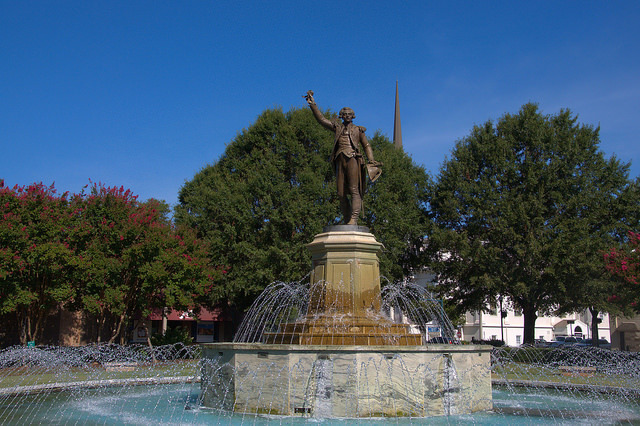 The statue was placed in the square in 1976 and is on permanent loan to the city from LaGrange College. Charlie Joseph Maloof was a Lebanese immigrant who got his start selling fruit from a cart in LaGrange in the late 1910s. 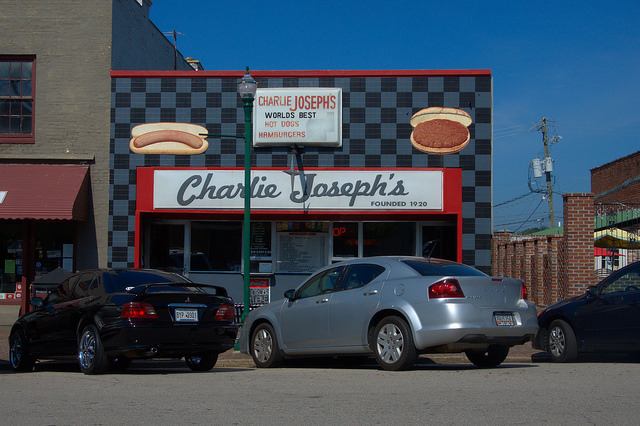 By 1920, he and his wife opened their first Charlie Joseph’s restaurant on Main Street. This location, on Bull Street, opened in 1946 and has been the go-to place for hot dogs and hamburgers in downtown LaGrange ever since. The fifth generation of the family still owns and operates the business today.